We want to make every event extraordinary. Our Arctic TreeHouse Hotel atmospheric lounge area invites you to relax after a busy day, while the panoramic restaurant offers delicious continental and local cuisine in unique surroundings. Experience-rich premises of Arctic TreeHouse Hotel cater for wide variety of dinners, meetings and other private functions. However, whether you are gathering together a handful of people or a party of a thousand, our company has a variety of other unique venues available and easily adjusted to any need – SantaPark, located right next to Arctic TreeHouse Hotel, for one, could host up to 1 500 persons at a time. Our creative staff has vast experience and will take care of you all the way - help you plan the perfect event, arrange exhilarating activities, and guarantee everything rolls smoothly - so you can make the most of the time you spend together productively. 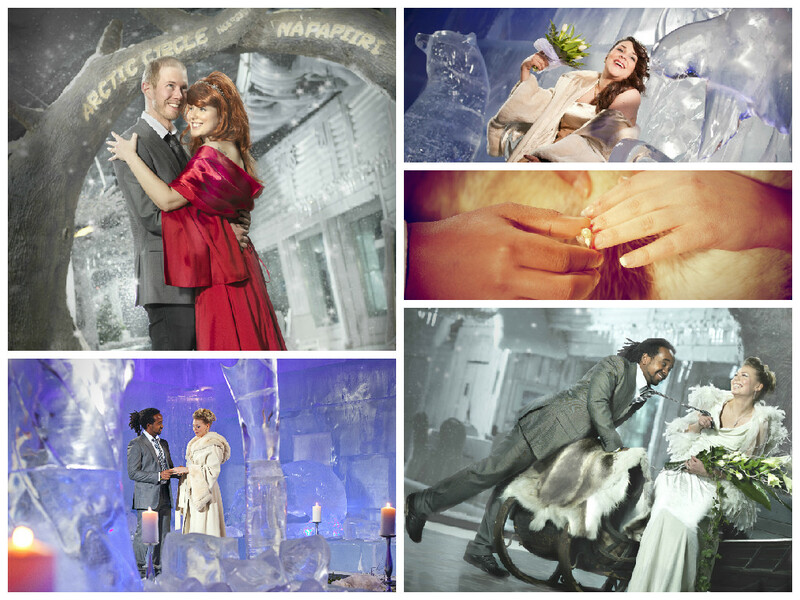 Would you like to take your vows in our Ice Gallery 50 meters under the Arctic Circle or in the midst of Santa Claus Secret Forest, lit up by myriads of magic lights? Or spend your wedding night on the Arctic Circle, in a luxurious suite with unlimited view to the Northern Sky? When two hearts want to spend the rest of their lives together, we ensure it to be blissfully romantic and magical to say “I DO!” Our unique venues and thoughtful, professional services will make your special day truly unforgettable. SantaPark Arctic World provides functional, atmosphere-rich and highly adaptable settings for audiovisual productions, hundreds of which have already been made at our premises. In addition to providing the settings, other services required for productions are also available, such as accommodation, professional performers, catering services etc. We are part of House of Lapland's Film Friendly network. We have participated in House of Lapland's and the Finnish Lapland Film Commission's Film Friendly training. We know the basic needs of the film industry, and we are committed serving productions smoothly, efficiently and reliably.